Scientists have verified that the rate of freshwater being released into the Gulf of Alaska is approximately 1.5 times the amount being dumped by the Mississippi River into the Gulf of Mexico each year. Disturbingly, half of this water is coming from the melting of glaciers and snow. The make this confirmation, Geophysical Institute glaciologist Anthony Arendt looked at the gravity measurements taken by two NASA satellites as they orbit the planet. This data can be used to calculate changes that arise from loss of snow and ice from glaciers. Arendt's finding nicely compliments related work done over the past three decades, including measurements of streams and weather station data. To put this rate of flow into perspective, the Mississippi River — which is ranked 10th in the world in terms of its output — drains 31 U.S. states and two Canadian provinces. This means the mountains and rainforests of southern Alaska are pouring a monumental amount of freshwater into the ocean. Approximately half of this comes from rainfall, the other from snow and glacial melt. Fresh water helps power ocean currents that carry heat to cooler places. Glaciers gather bits and pieces of life that, once transported by meltwater, feed tiny things in the ocean, which feed salmon and other creatures. 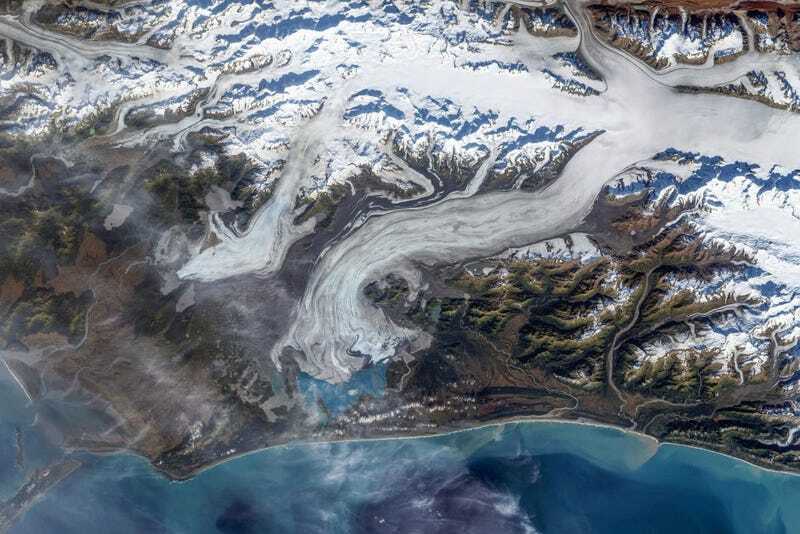 Glacial rivers move the stuff of life, carbon, and redeposit it to the sea. Glacial melt increases sea level. And Alaska and northern Canada are moving water like a fire hose that grows in diameter each summer. How does Alaska's freshwater runoff compare to other icy places? Even though its streams and rivers dump an enormous amount of water into the oceans, Alaska gains a lot of that water back in the next winter's snows. Alaska contributes about 4 percent of global sea level rise. Greenland, by comparison, releases about one third the amount of water Alaska does (though it barely experiences any precipitation), making it responsible for 20% of current sea level rise. Read the rest of Rozell's post, which includes further insights into the glacial melt and what it might mean to future weather. You can read the entire scientific study here.